Episode 6 wraps up our online series with a bang. 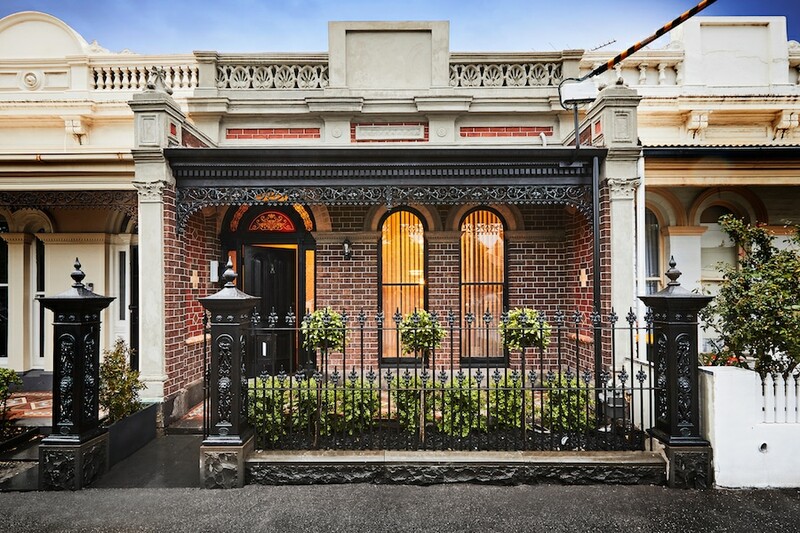 We spruce up the façade of our heritage-listed home, fit-out our lavish laundry and make a grand statement with our sophisticated stairway and entrance hall. It was super important that any changes to the façade of our Albert Park project complied with council approved modifications. This influenced our colour palette and any structural changes. We chose soft muted tones and a lush landscaped garden to create a visual invitation for prospective buyers of the property, while showing respect to the existing character and history of the home. Equal consideration was given to the grand entrance beyond the façade, the hallway. 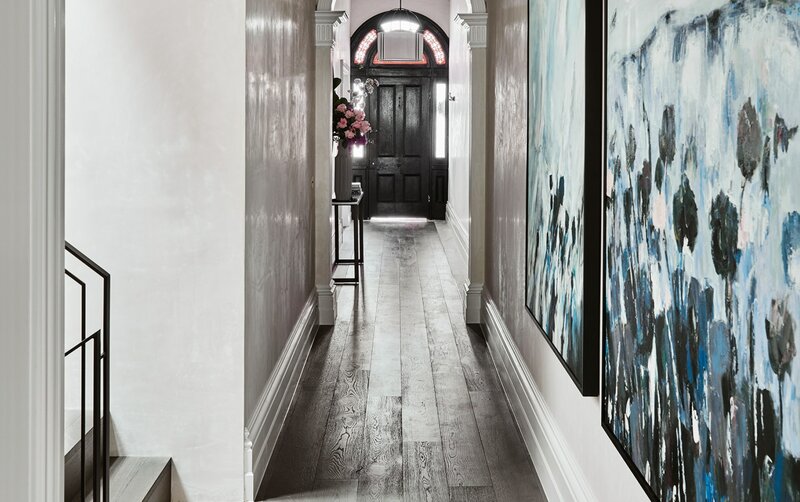 With sky high ceilings and intricate details in the floor, it’s the perfect welcome home greeting that leads through to a statement stairway. However, even a house with the warmest ‘wow factor’ welcome needs somewhere to keep the mops, buckets and polishing rags. 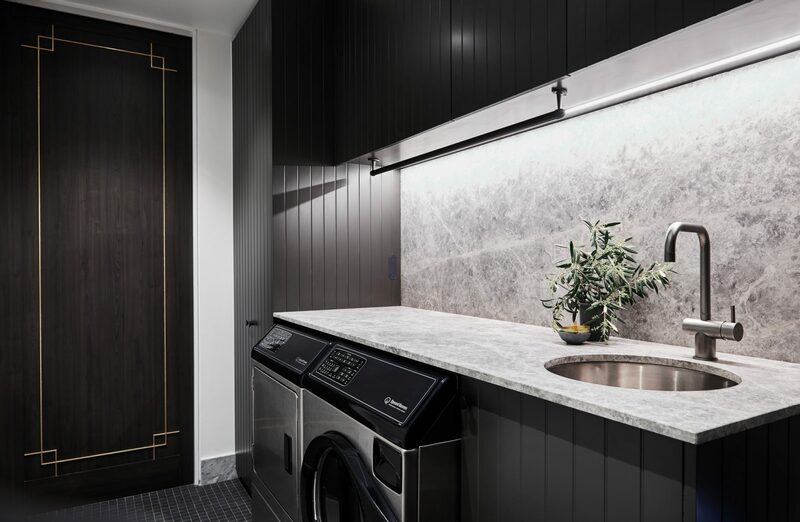 The sleek stone benchtops and dark moody cabinetry make you want to stop and linger a little longer in the silent hero of the home, the laundry. Join us for our final instalment of the Albert Park project and see the finishing touches on our largest renovation project to date!